KANSAS CITY, Mo. — From persistent crime to blocks of vacant homes, the area around E 27th Terrace and Oakley Street has had a tough go of late. "I don't like walking outside and hearing gunshots," Johnny Burris, a resident of the neighborhood for 40 years, said Monday. "One of those bullets might be headed for me." A local nonprofit, Tikkun-KC stepped in to see if they could help. "I formed a nonprofit for the purpose of buying and purpose of going into very, very dilapidated and buying hopefully the entire block," said Larry Myer, Tikkun-KC founder. The group has bought several lots, including some from the Kansas City Land Bank. "We are taking the worse of the worst - houses that nobody wants anymore - that are waiting to be torn down," Myer said. "We fix them up and we sell them to those folks who are deserving." 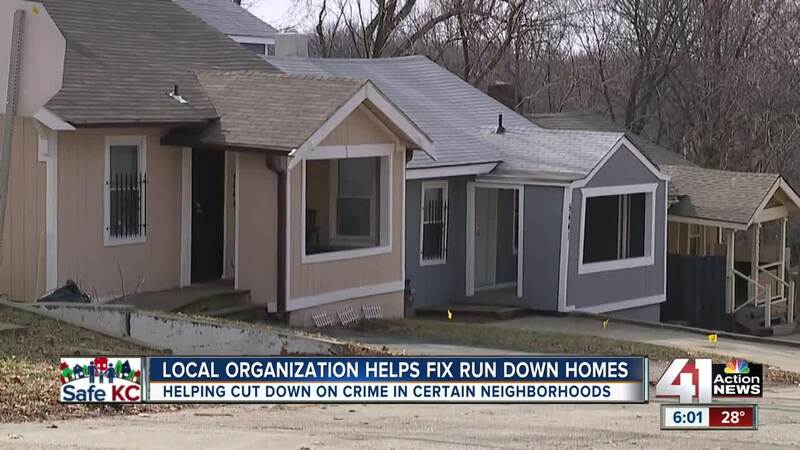 The group isn't just transforming homes; They are giving new life to the once crime-filled neighborhood. "When we got here, there was a very large up-and-running drug and prostitution house not far from where we are standing," Myer said. "We got that shut down. There were also a few murders right on the corner." The nonprofit has spent tens of thousands of dollars fixing homes, several of them ready to be knocked down when they first saw them. "We completely cleared out the lot. Put on a new roof, new electric, new plumbing, new furnace, new central air," said Myer. Because of these new homes, they give hope to long time neighbors. "It's the old saying, "Rising tides lifts all boats,'" said Myer. The group is now working in the neighborhood of 35th Street and Indiana Avenue. Tikkun-KC gets their funds from private donors and grants.